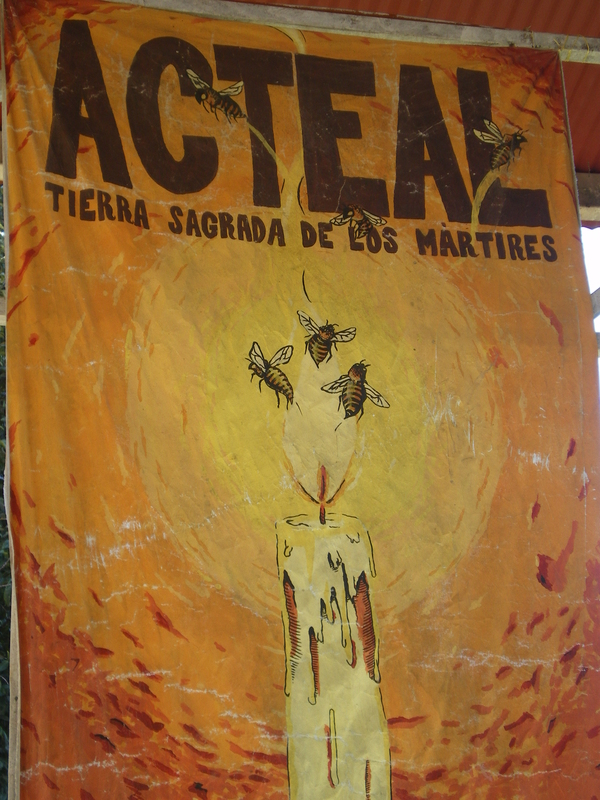 A communique from the Las Abejas Civil Society of Acteal published on 23 June 2015 reports the murder of Manuel López Pérez, a member of the organization. According to the report, Manuel was killed while returning from Pantelhó to his home of San José Bochtik, Pantelhó municipality, when the public transit in which he had been traveling was stopped by a group of seven masked men dressed ni military fatigues and carrying firearms. Manuel had been accompanied by his 11-year old son, Juan López Guzmán, who recognized the voice of one of the killers, claiming it to be that of his older brother, Alonso López Guzmán. The municipal judge did not allow photographs to be taken of the crime scene, nor did he respect the wishes of Manuel’s wife not to remove the body until members of the Las Abejas Society were present. It is also reported that the judge and the municipal police chief had pressured Juan to declare that he had been traveling in a different car, and that he was not a witness to the murder of his father. It should be noted that Manuel López Pérez, together with his wife and four sons, was displaced in 2013 from the San Joaquín community, Pantelhó municipality, Chiapas, on the charge of wizardry. These accusations emanated from his son Alonso, who is considered a suspect in the murder, and the present municipal judge, Pedro Giron López, who is accused of irregularities at the crime-scene. Manuel attempted to sell the land on which his family was displaced, but Alonso appropriated it and then sold it, thus violating a previous agreement between the municipal authorities and his father. Though the case was referred to the Agrarian Court and the Fray Bartolomé de las Casas Center for Human Rights (CDHFBC), nothing concrete followed. The Directive Table of the Las Abejas Civil Society added in its communique that Manuel’s family had for long been subjected to death-threats, with this being a situation that had been denounced before the authorities, though no measures were taken to avoid the murder. It should also be mentioned that on 22 June was held the monthly commemoration of the Acteal massacre, which as usual demanded justice for this crime, as for others committed in Mexico and the world. This entry was posted on Thursday, July 2nd, 2015 at 7:32 pm and is filed under Chiapas, Disappeared, Human Rights, Human Rights Defenders, Indigenous people, Justice system, Land and Territory, Land rights, Las Abejas, Militarization, Paramilitary. You can follow any responses to this entry through the RSS 2.0 feed. You can leave a response, or trackback from your own site.